Insights, analysis and updates from Restorasi Ekosistem Riau’s expert team and partners. 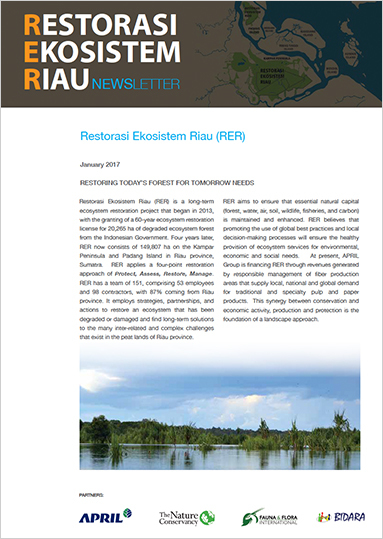 Restorasi Ekosistem Riau (RER) is a long-term ecosystem restoration project that began in 2013, with the granting of a 60-year ecosystem restoration license for 20,265 ha of degraded ecosystem forest from the Indonesian Government. Four years later, RER now consists of 149,807 ha on the Kampar Peninsula and Padang Island in Riau province, Sumatra. RER applies a four-point restoration approach of Protect, Assess, Restore, Manage.